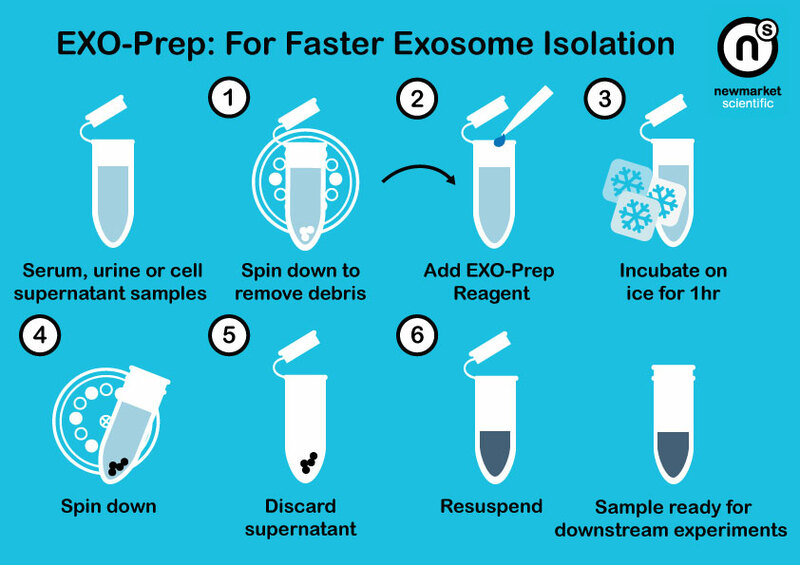 Our exosome and microvesicle research range provides essential tools for researchers in the field of exosome research, from the HansaBioMed range including the ExoTEST platform, a proprietary immune-based solution for the capture, quantification and characterisation of exosomes from biological fluids and EXO-Prep an efficient method for exosome isolation. Also we represent the exosomics range which provides solutions for the isolation and selective enrichment of tumour-originated extracellular vesicles (EVs) and exosomes from complex biofluids. Further information is provided below. If you are looking for a specific product from the HansaBioMed range please follow the 'essential tools' link above for further details, pricing and copies of manuals and datasheets, or if you would like to request more information, simply use our contact form and we'll send you the information you need.